During Football, Boys and Girls Basketball, and Baseball seasons the IHSAA Radio Network broadcasts the championship games to all of Indiana. 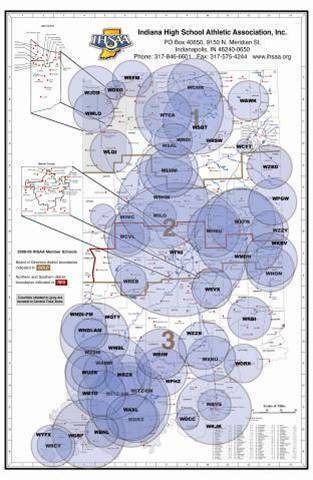 This map represents the combined coverage area of the affiliated stations. The IHSAA Radio Network also brings Indiana the pre-Tourney Pairings Show – an in-depth look at champion-caliber teams, predictions and other commentary about the IHSAA state tournaments!